One of the Black Country's forgotten stations, Rushall opened in 1849 on the newly completed South Staffordshire Railway's Walsall to Lichfield route. 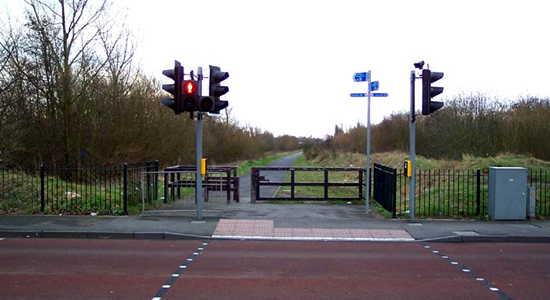 Unlike the rest of the stations on the line that managed to hang on for the Beeching axe, Rushall succumbed to closure in 1909 and has failed to ignite the interest of railway historians since then as scant mention is made of it in the majority of regional railway publications. 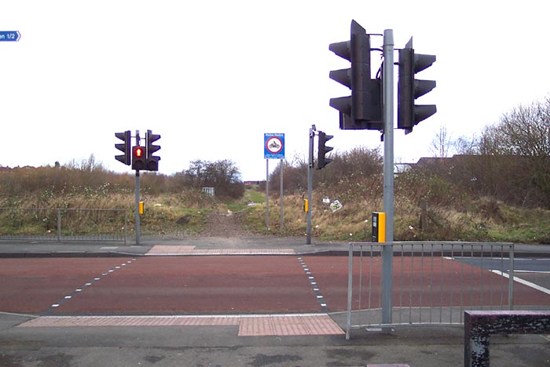 Unfortunately I have been unable to locate a suitable period photograph of the station so above we see the station site today at the meeting of Station Road/Harden Road - well, more appropriately it is Harden Road/Station Road as the road has been slightly repositioned in the intervening years and now runs across the station site! 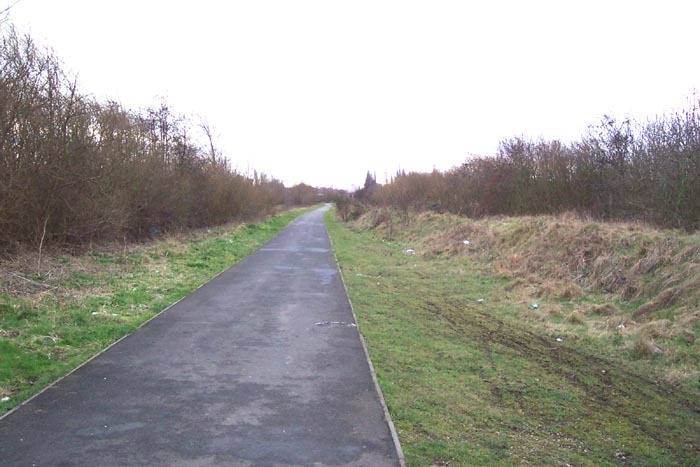 The view is looking along the trackbed towards Walsall. As you would imagine, there is little to see of the station here but I was a little disappointed that with the line only closing to through traffic in 1983, there was no trace of the level crossing that stood here (for photographs of the level crossing when in use, see the 'Reader Galleries' pages. 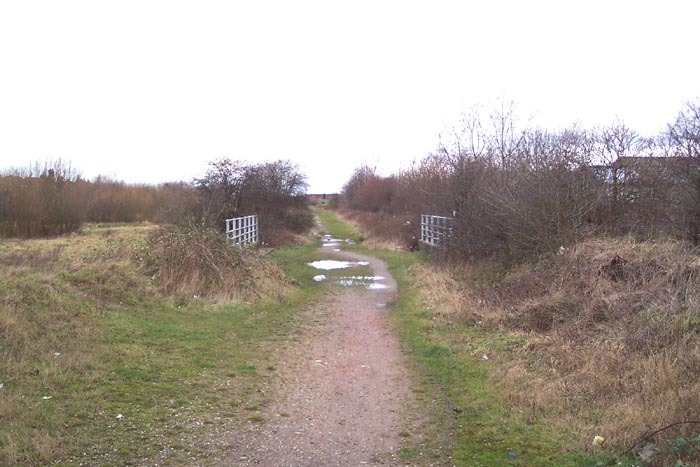 Above-left we have walked forward from the previous shot and are looking along the trackbed towards Walsall: as can be seen, the trackbed is now a rather uninspiring footpath. Above-right we are in the same spot but have turned to face Lichfield and are looking toward the only marginally interesting railway feature left at the site: a bridge over a small brook. Above-left is the bridge over the aforementioned brook and above-right the trackbed beyond it heading off towards Pelsall and Lichfield. 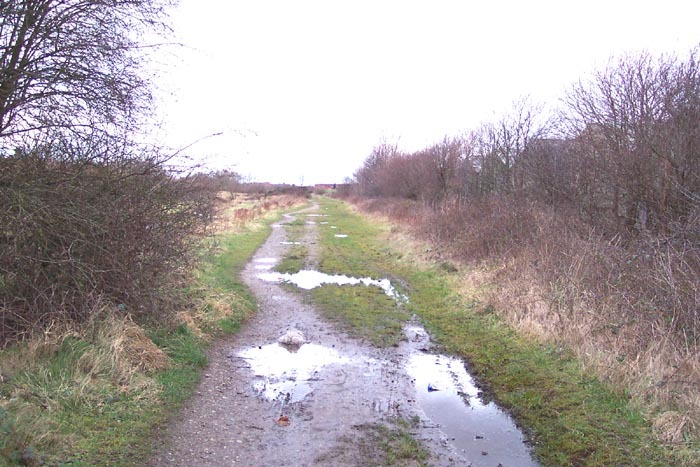 There really is little to say about this site, and virtually nothing to warrant a visit, as although the line of the railway is easily discernible there are no features of interest remaining.